Samsung has just launched the Galaxy A6 and the Galaxy A6+ smartphones in India, which start at Rs. 21,990 and go head-to-head against the likes of the Nokia 7 Plus. At the same event, Samsung also lifted the covers from the new Galaxy J6 and the Galaxy J8 smartphones that will soon be available in India in blue, black and gold color options. The Galaxy J6 has been priced at Rs. 13,990 for its base (3/32 GB) variant, while its 4GB+64GB variant will be available at Rs. 16,490. The dual camera-equipped Galaxy J8 has been priced at Rs. 18,990, and will take on Xiaomi’s Redmi Note 5 Pro. Samsung has partnered with Paytm to offers a cashback of Rs. 1,500 on both the devices for purchases made using an ICICI Bank credit or debit card. Additionally, a ‘One time Screen Replacement Offer’ from Samsung is also on the table if the Galaxy J6 or the J8 is purchased before June 20. The Galaxy J6 comes equipped with a 5.6” HD+ Super AMOLED Infinity display fitted inside a poly carbonate body. The device features 3/4 GB of RAM and 32/64 GB of internal storage, paired with an octa-core Exynos 7 series processor. The Galaxy J6 boots Android 8.0 Oreo and features a 3,000 mAh battery. In the imaging department, the smartphone is equipped with a 13MP (f/1.9) rear camera and an 8MP (f/1.9) selfie camera, both of which are accompanied by an LED flash. 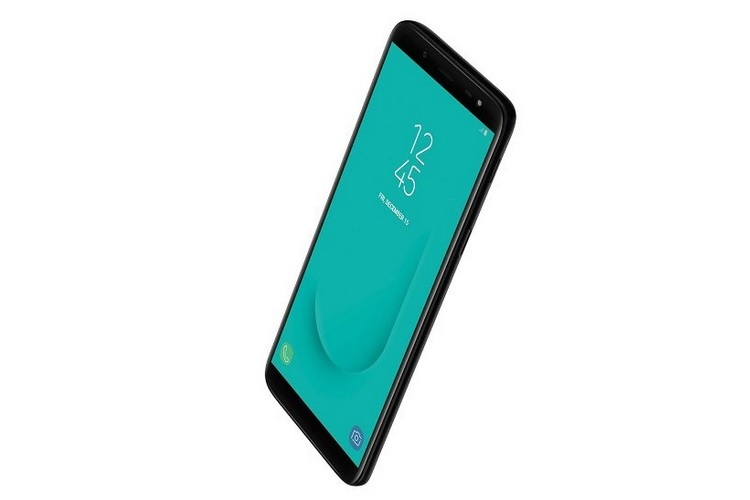 The Galaxy J6 also comes with features such as face unlock, Samsung mall app and Chat-over-Video, which allows users to carry on a conversation in a transparent chat window without interrupting the video playback. The device will go on sale starting May 22 from the Samsung website, Paytm Mall and Flipkart. The Galaxy J8 packs a larger 6-inch Full HD+ Super AMOLED Infinity display and features a Snapdragon 450 processor, paired with 4GB of RAM and 64GB of internal storage which can be expanded up to 256 GB via a MicroSD card. The device runs on Android 8.0 Oreo and is equipped with a 3,500 mAh battery. The Galaxy J8 has a more capable imaging hardware compared to the Galaxy J6, thanks to its dual rear camera set-up which consists of a 16MP (f/1.7) primary sensor and a 5MP (f/1.9) secondary sensor, and a 16MP (f/1.9) front camera which also has a selfie flash. The Galaxy J8 comes with the Live focus mode, in addition to a host of other features such as Face Unlock, Samsung mall app, and Chat-over-Video. The Galaxy J8 will go on sale in July and will be available from the Samsung website, Flipkart and Paytm Mall.